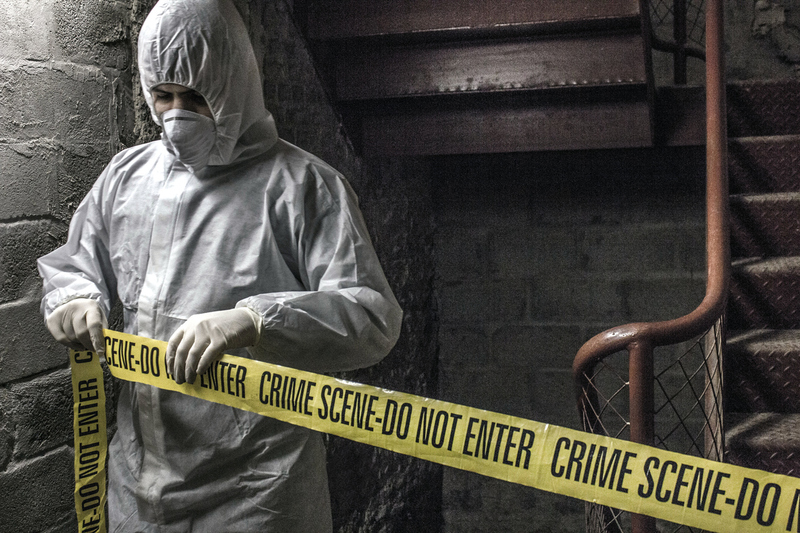 Once you pass the psychology test, you are trained on the whole subject of crime scene clean up; safety measures with regard to the handling of body fluids, legal ways of disposing of dangerous waste. There is also the ‘gross factor’ test that all must undergo to ensure that you can work without throwing up; here, you are taken through some visual presentations of sample cleanups done previously and thereafter, the actual exercise of cleaning up animal remains. The cleanup companies usually do the training but the certifications are programs are offered through Trade groups like Occupational Safety and Health Administration (OSHA). OSHA requires that all workers in this field be vaccinated against hepatitis B and have to be in perfect physical and general health condition. This is a rather potentially exhausting job, you’re on duty on 24/7 basis and the schedule is sporadic -as in, any time can be ‘tea time’ (work time). There is also the “blessing in disguise” with this job; with an average pay of $40,000 per annum, an amount that can be significantly higher depending on the city where there are numerous cases of violent deaths. Most of those who own clean-up businesses would make up to six figures in a month, which is quite high. Therefore, it goes without saying that, the more people die violently, the more clean-up businesses make. The American Bio-Recovery Association (ABRA) is the industry’s main regulating body and considers a pay of $250 per hour reasonable. The charges will vary from one service provider to the other but suffice to say, it is a lucrative business venture. The cost will also depend on the magnitude of trauma, and the quantity of hazardous waste at the scene. The Suicide cleanup service is covered under homeowner’s, auto, and business insurance. The Federal Crime Victim reparations agency handles cases on homicide by providing financial assistance toward the cost of remediation and this is after the company sends a bill. In some communities, the religious organizations or communities help cover the cost incurred. Crime-scene clean up is quite an involving, tricky but a lucrative business. Depending on the nature of the crime occurrences and the damage incurred, one scene could send your account running to millions of dollars in a day. It’s quite an excruciating job though but the training ensures that you are well equipped both psychologically and physically.